Charles-Marie Widor (1844-1837) was and still is like Louis Vierne, one the most important organ composers and all organists know that he was organist at the famous Saint-Sulpice in the heart of Paris for 64 years. With the help from the organ builder Aristide Cavaillé-Coll he became a student of Jacques-Nicolas Lemmens and was later to become professor at the Conservatoire in Paris succeeding César Franck. Through his work as a teacher, he defined the way of organ playing, a tradition and style which is still alive today. As an advocate of the instruments of Cavaillé-Coll, he helped to inaugurate several very important instruments, such as Notre-Dame de Paris, Saint-Germain-des-Près, the Trocadéro and Saint-Ouen de Rouen. Like Louis Vierne, his influence cannot be underestimated. 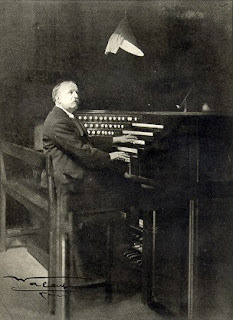 Louis Vierne (1870-1937), the famous organist of Notre Dame de Paris, hardly needs any introduction. 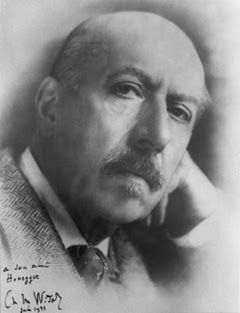 As a student of César Franck and Charles-Marie Widor he quickly rose to fame and became assistant to Widor at Saint Sulpice in 1892. From 1900 until his death in 1937 he was titulaire at Notre Dame de Paris. Louis Vierne’s importance as an organist and composer cannot be underlined enough. His musical legacy is immense – just think of how many of his works are in the core of the standard repertoire of every organist. So it’s with great pleasure, that I’m now able to present one of the most legendary cycle of organ recordings. These recordings were made in November 1928 and allow us to listen to the almost intact Cavaillé-Coll organ from 1868. As far as I can read, the only modifications made until 1928 was done by Louis Vierne in 1902.